This week we cut deep with @5eafoamgreen. Mirella Villa is bassist for Baseball Hero and @mulligrubmusic. We talk about her brand new venture as a vocalist in Mulligrub, her tour habits to stay happy, video games, Yelp, and being a Latina musician – in Winnipeg and on tour. Mirella is so funny, honest, genuine, and a fantastic story teller! This interview makes us smile ear to ear and we are so happy to share it! 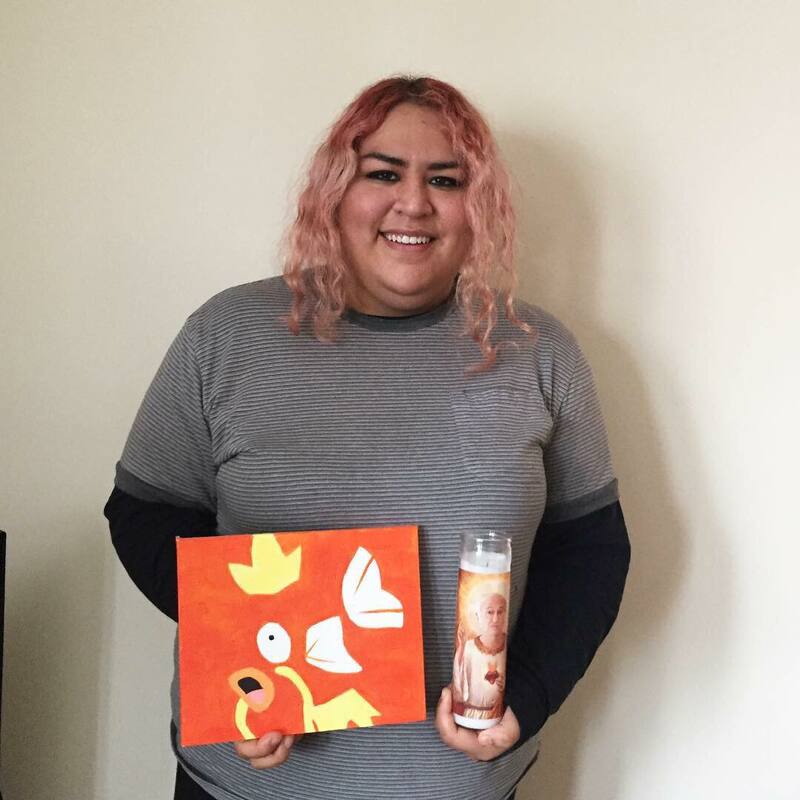 This pic is of Mirella with a Marikarp painting (which gets brought up a lot in our episodes) and a Larry David Jesus candle because Mirella and Larry David are both Cancers born on July 2!